Christmas abroad had long been on our wish list, but for some reason I had always imagined Germany or Norway—certainly not the West Bank. 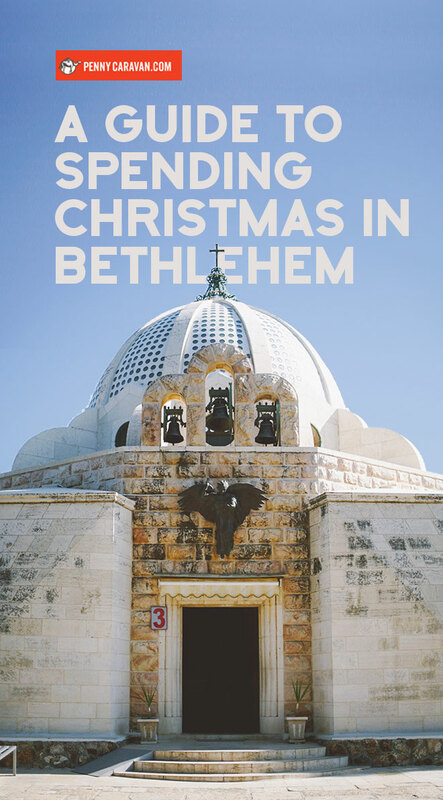 When we decided to visit Israel in December during Christmas, we knew a visit to Bethlehem couldn’t be missed, but we found it difficult to gather information online for planning a visit. 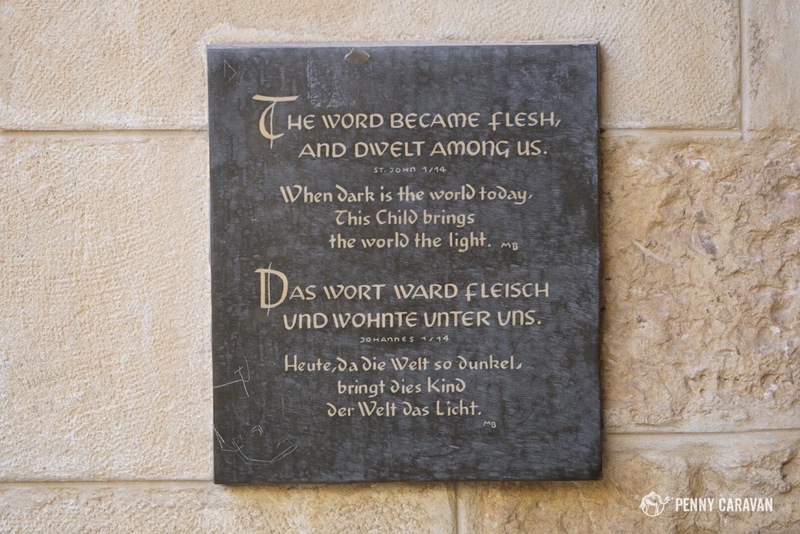 We hope this post will help others wishing to make the Christmas pilgrimage to the place of Christ’s birth. 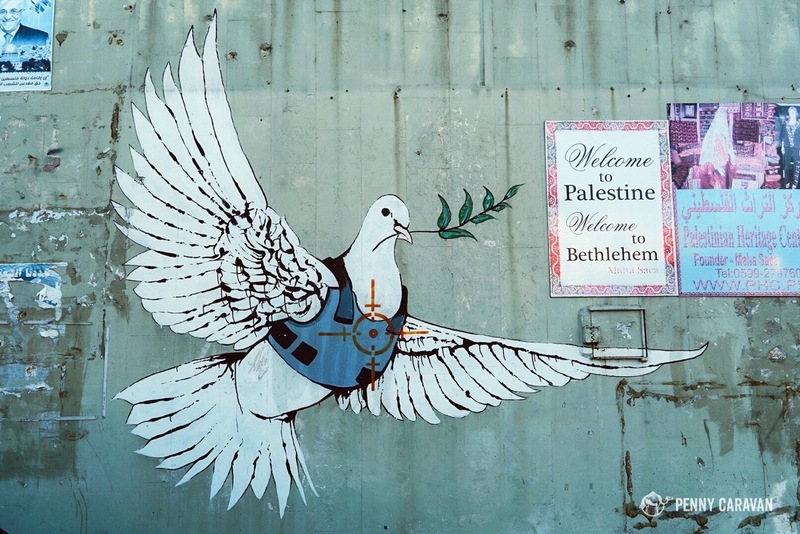 Bethlehem is located in the West Bank territory, a highly politically-sensitive area prone to riots and attacks. We didn’t experience any of this during our visit, but we did later hear that three Palestinians were killed when they tried to attack security officers on Christmas Eve. Despite this, I don’t regret visiting Bethlehem and in fact, I felt quite safe. One of my biggest takeaways from our trip was that I have never visited a place where so many people kept welcoming me. 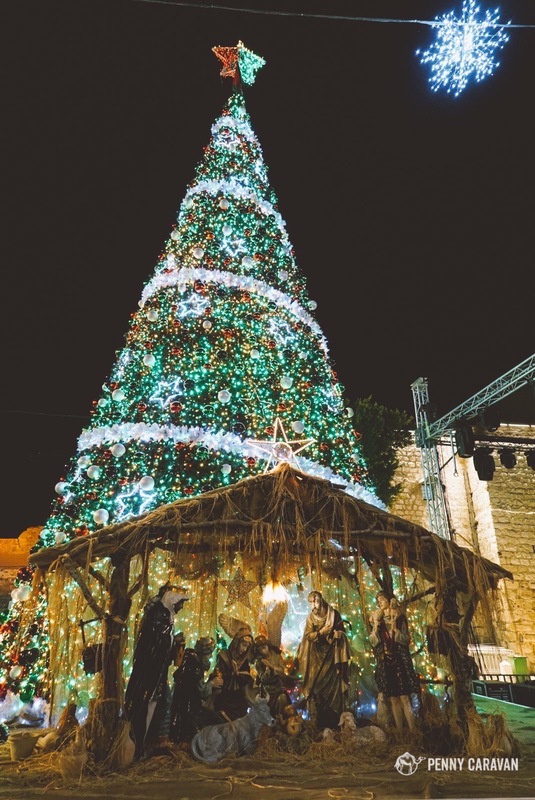 Every time we told someone we were from America, we heard “You are welcome in Palestine!” Proud of their heritage as the keepers of Bethlehem, most Palestinians do everything they can to keep Manger Square on Christmas Eve a safe place for the celebration of the Prince of Peace. 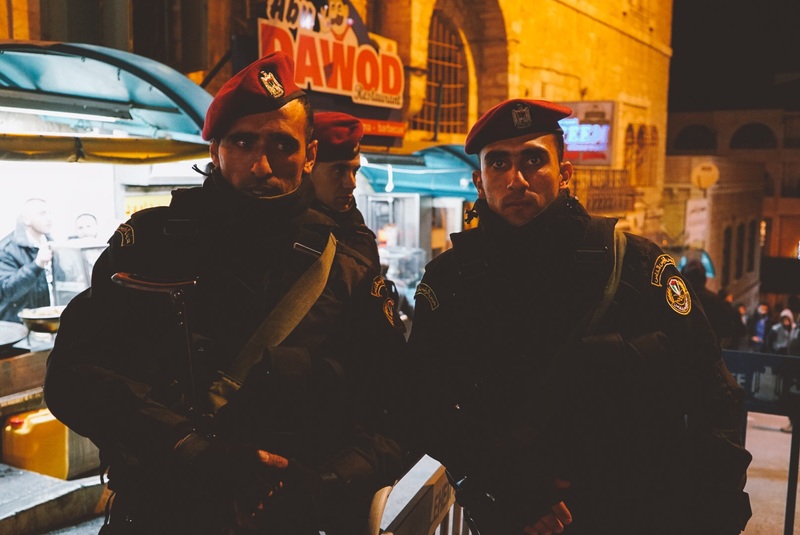 The Kingdom of Jordan provides security at Manger Square on Christmas Eve (yes, we asked permission to take their picture)! Precious little George, who served us at his family’s restaurant located on Manger Square, St. George’s Restaurant. 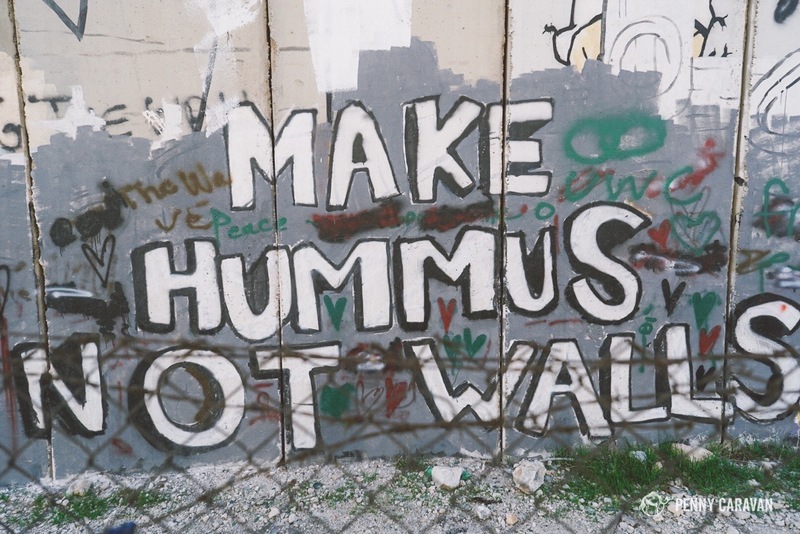 Bethlehem and the West Bank are separated from Jerusalem by a 26-foot high, 437-mile long concrete wall, the West Bank Barrier. 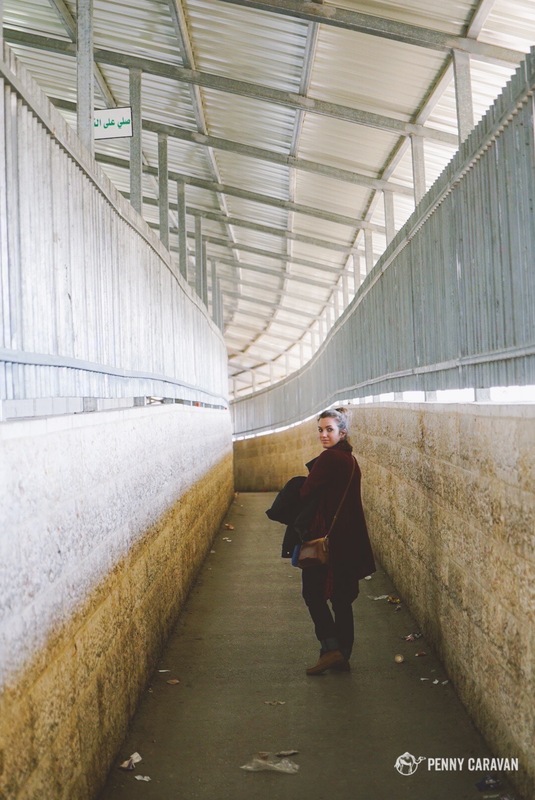 Supporters of the wall claim that it has increased protection for Israeli citizens by 96%. 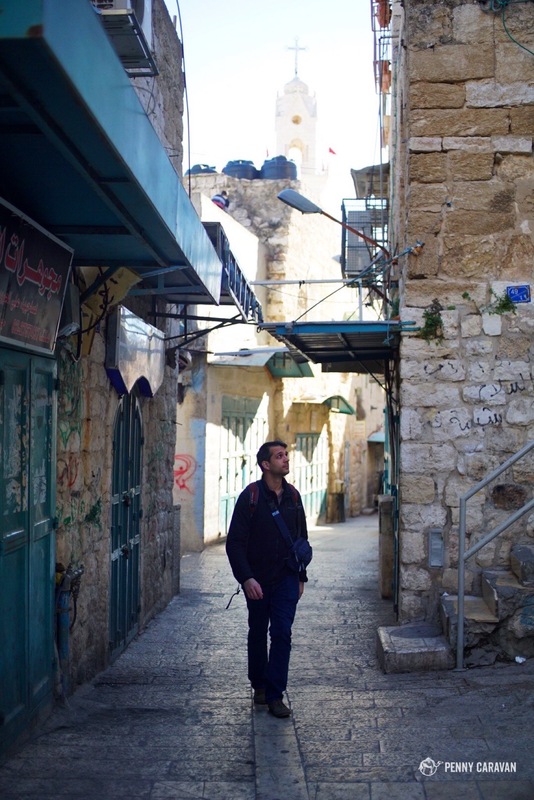 Opponents claim it violates international law and has stifled the Palestinian economy. 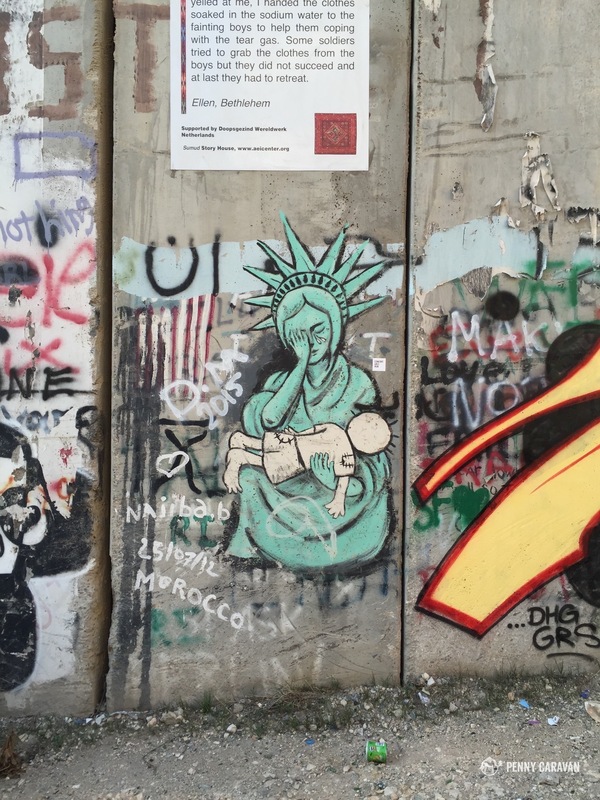 No matter which side you support, you’ll surely be brought to see the wall as every taxi driver in Bethlehem is eager for visitors to witness their plight. 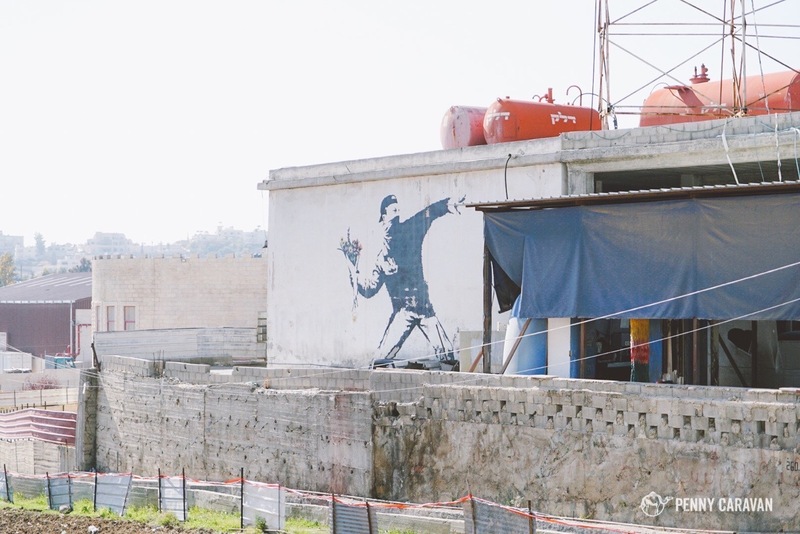 They’ll be happy to give you a tour of the pieces created a couple of years ago by international street artist Banksy, whose work certainly brought attention to their situation and set off a chain reaction of artistic expression in the West Bank. From Jerusalem, we took a bus from the Arab bus station just outside of Damascus Gate. All the buses parked there have a list of stops on the front of the bus, so just look for one that says Bethlehem. The buses with blue writing go south of Jerusalem while the buses with green writing go north. 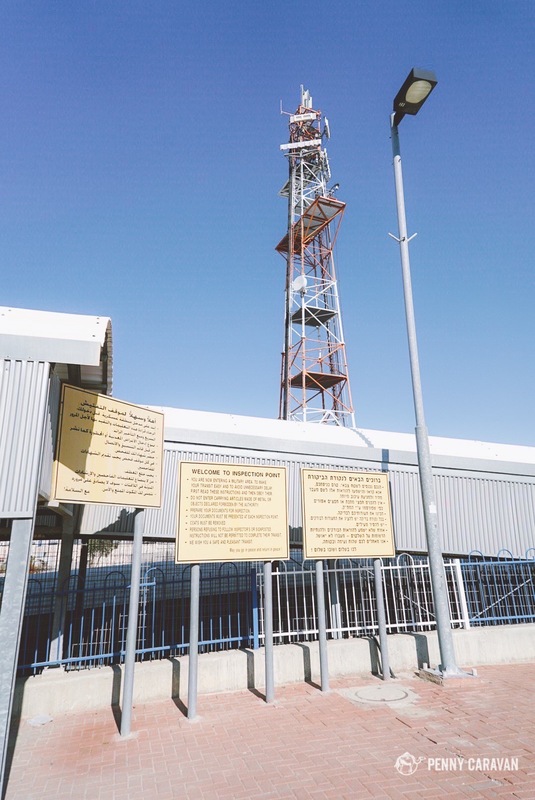 Buses to Bethlehem should run every 15 mins from 6am–10pm and should cost around 7NIS. We got on bus #21 which made multiple stops, and dropped us off in Bethlehem after about 40 mins. We did not have to walk through the checkpoint, the bus just took us straight in to Bethlehem. 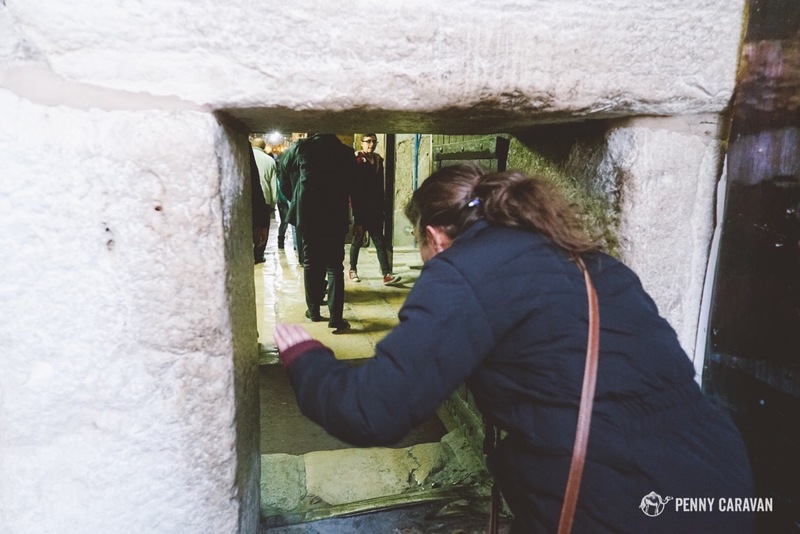 We had read that you could easily walk from the stop to Manger Square, but we went ahead and jumped in one of the waiting taxis to take us to our hotel with some stops on the way to see the infamous wall and the Banksy art. Leaving was a different matter altogether. We took a taxi to Checkpoint 300, which we had to walk through to get to the Israel side. It was exactly as I would imagine a defunct portal into another dimension would feel like—disorienting, prison-like, and abandoned. There was hardly any signage, and the metal detector wasn’t manned. Only toward the end of the seemingly vacant maze did we finally reach a counter where two people were stationed, but they just waved us through without even checking our passports. Nonetheless, we got out without any issues and waited at the bus stop just outside the check point on the Israel side for a bus back to Jerusalem. I had read to take bus #24 or #124, but as each bus came along we just asked if they were going to Damascus Gate and when one driver said yes, we got on (it was #231)! 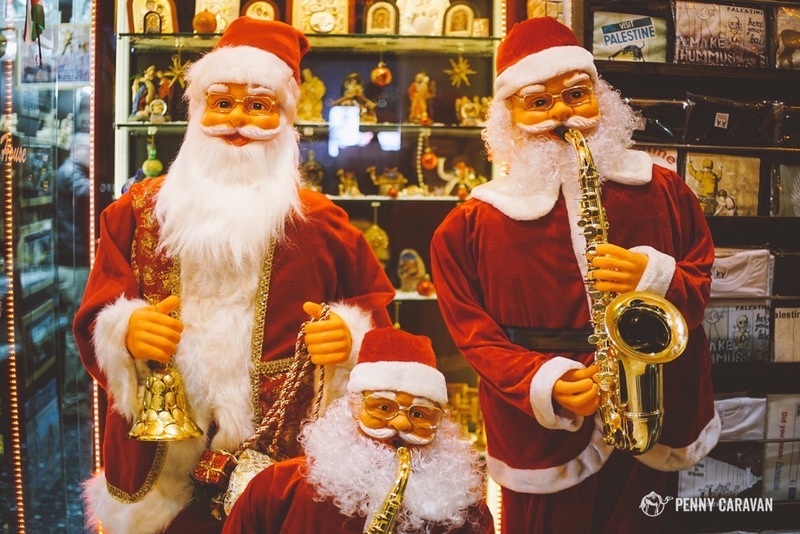 For starters, know that the Christmas celebrations stretch for a long period in Bethlehem to accommodate all the denominations who celebrate Christmas on different days. The Catholic and Protestant celebration comes first on December 25th, the Orthodox celebration takes place on January 6th, and the Armenians celebrate on January 18th. Though the Orthodox celebration seemed to be a larger event which we would have loved to have seen, we visited on December 24th to attend midnight mass on what we celebrate as Christmas Eve. 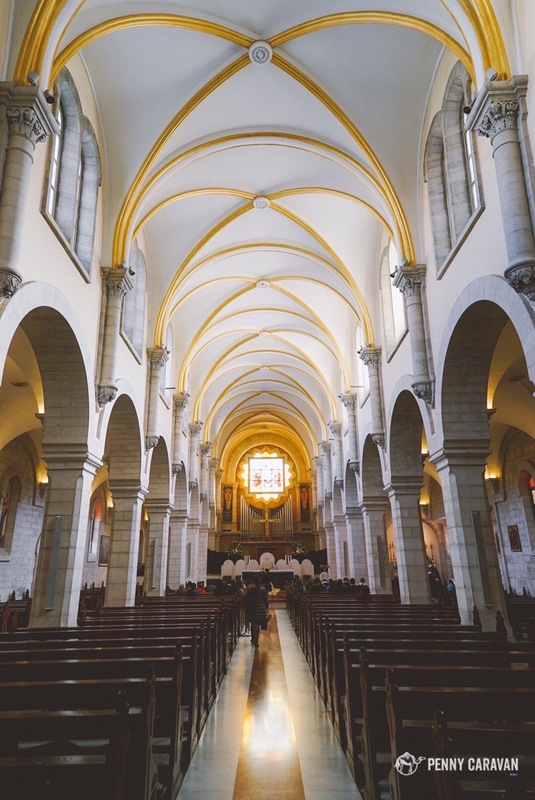 Midnight mass takes place in Saint Catherine’s cathedral, and as space is limited, free tickets are issued months in advance. 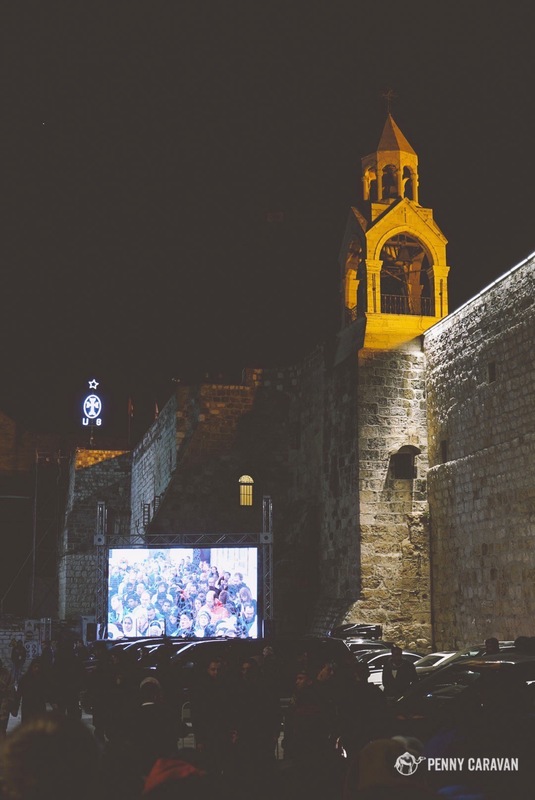 We thought we had sent in a request in plenty of time, but we were only invited to join the overflow in Manger Square where a big screen would be set up to live cast the service. We arrived around 5pm and toured the Church of the Nativity just in time before they closed it to get ready for the service. We ate dinner in the square and watched the stage that was set up where some American church groups were singing some questionable choices in Christmas songs (we had to roll our eyes a little bit when they started singing Feliz Navidad). By 9pm we had worn ourselves out walking around the square, souvenir shopping and talking to little kids who would not stop asking us to buy sticks of gum, candy or kleenex from them. We headed to to our hotel for a short nap before returning to the square for midnight mass. I guess we assumed we would be able to follow along with the service, but the screen was tucked away in a corner and was impossible to hear over the crowd. We took a table at the Peace Cafe and drank cup after cup of hot chocolate while straining to listen to the service. 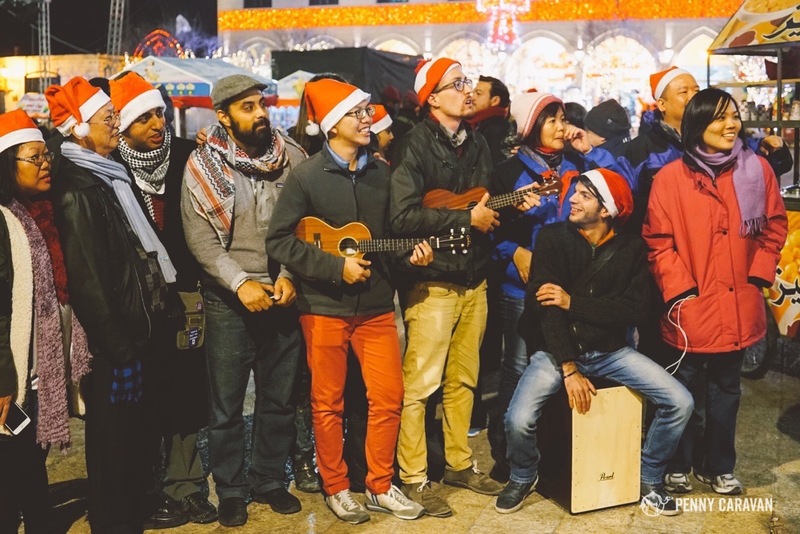 Eventually, we heard a group of pilgrims singing carols in a circle with a guitar, so we walked over and joined them for a few songs. I guess we expected there to be more organization or communal prayer and singing, but the stage and sound system they had set up just wasn’t conducive to an organized service. So although our Christmas Eve was a little bit of a letdown, we could hardly complain since we had stood in the place of Jesus’ birth! The giant tree and nativity in Manger Square. 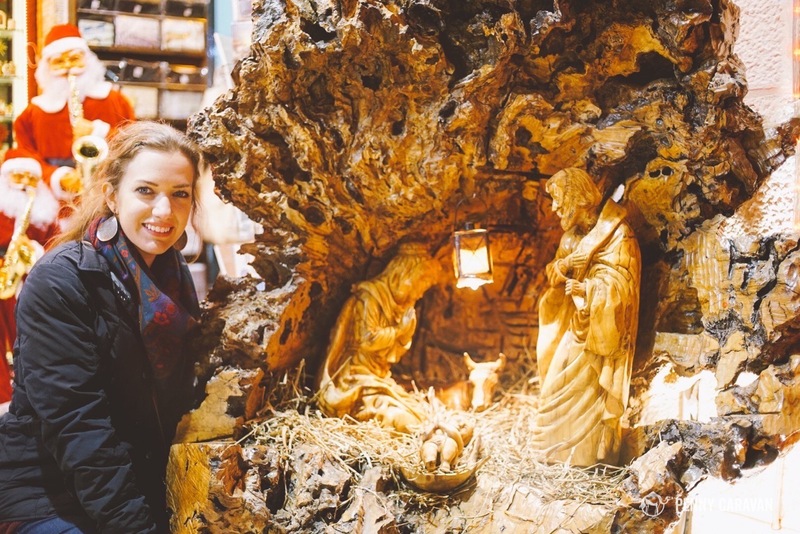 Olive wood nativities are a great souvenir to bring home. This one was just a little too big for me! 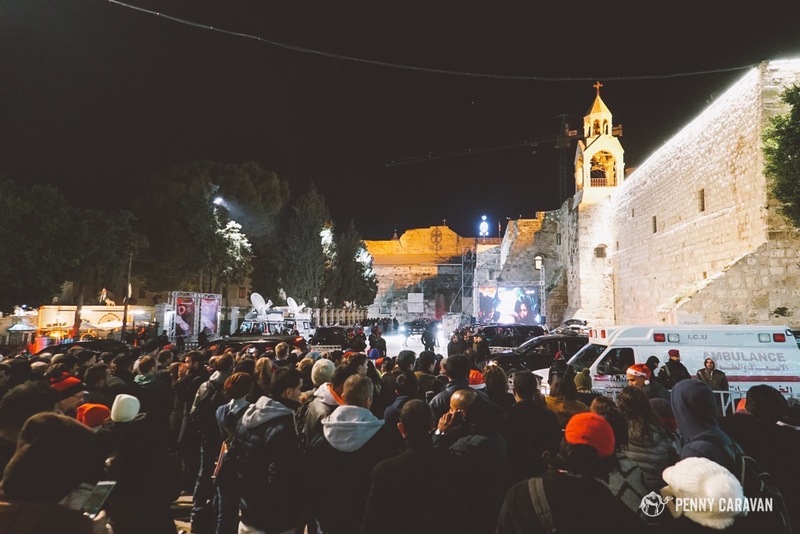 The live feed of midnight mass in Manger Square. This wide shot shows how far away the screen is. We joined in with some Christmas carolers. 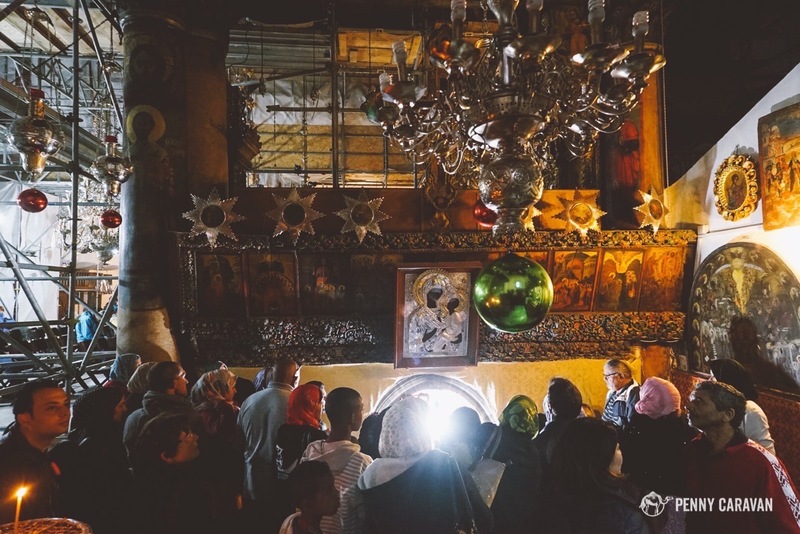 The heart of the city is the Church of the Nativity, built over the manger where Christ was born. 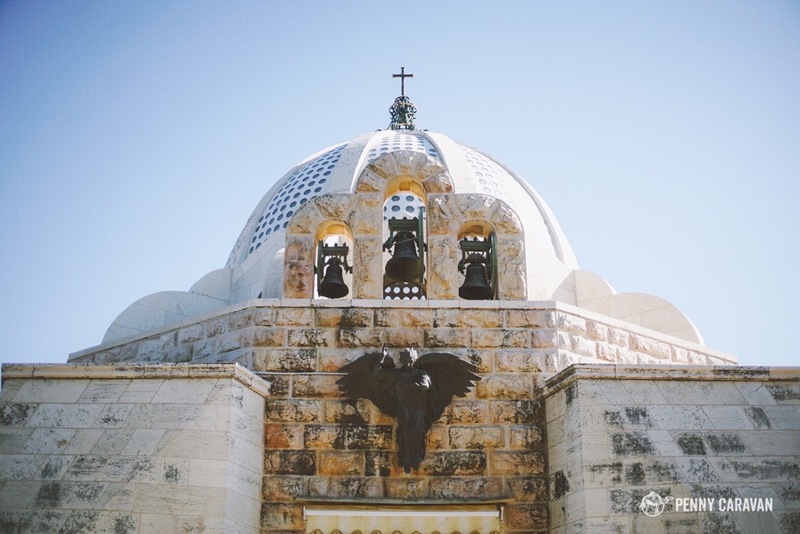 The building is actually a huge complex which is jointly administered by the Greek and Syriac Orthodox, Catholic, and Armenian Apostolic denominations. 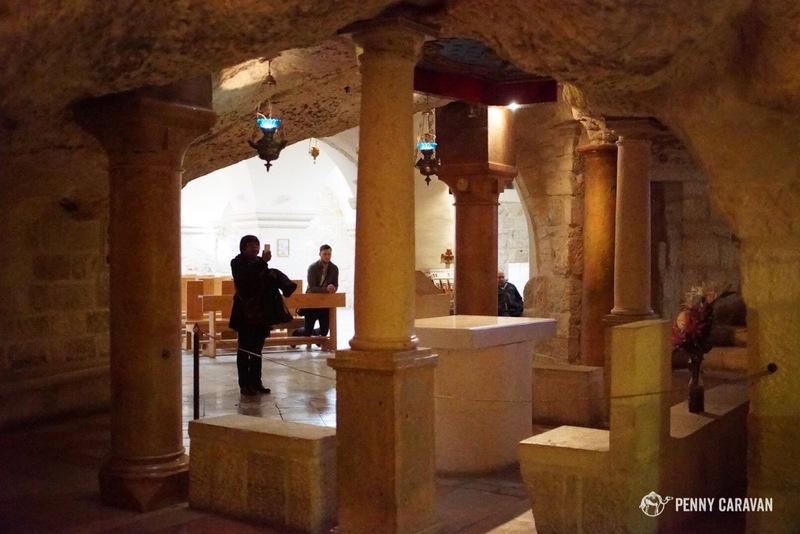 Midnight Mass is held in St. Catherine’s chapel which is housed under the same roof as the Church of the Nativity. 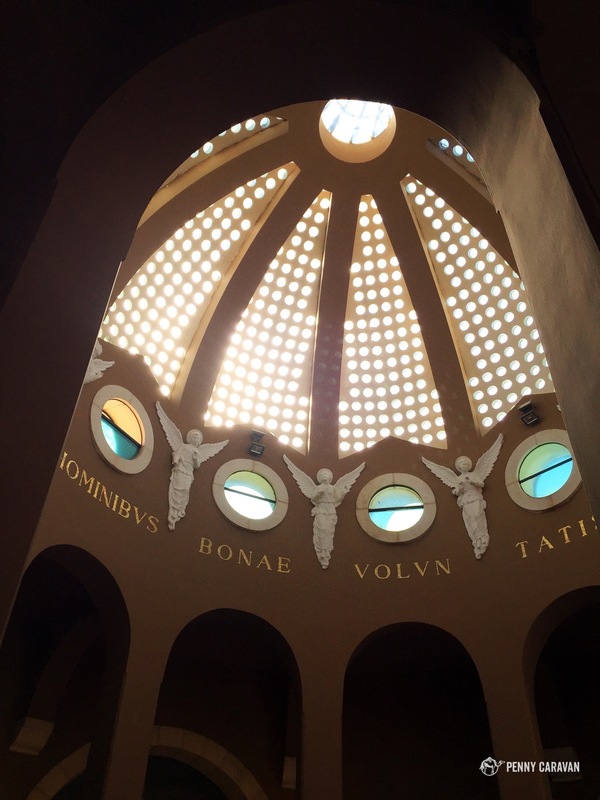 The main entrance into the church is a humble one! You can imagine how disappointed we were to walk in and find everything covered in scaffolding! 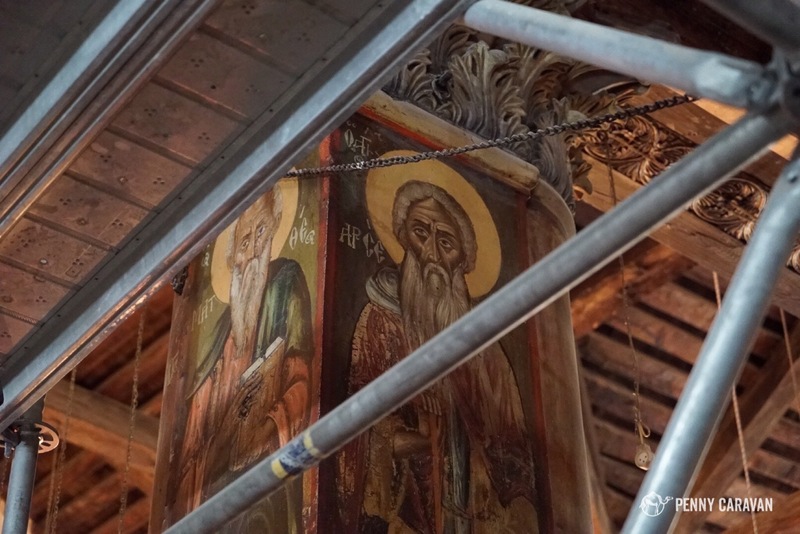 The church was undergoing a major renovation project when we visited. 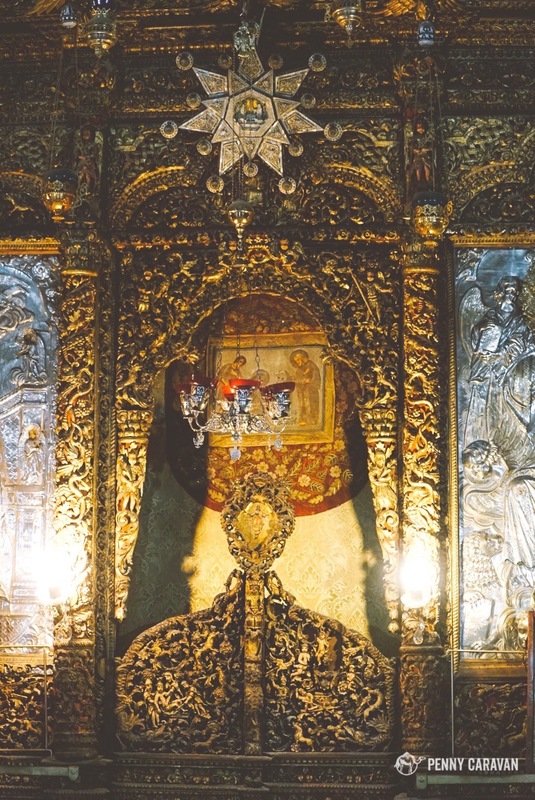 The altar of the Church of the Nativity. 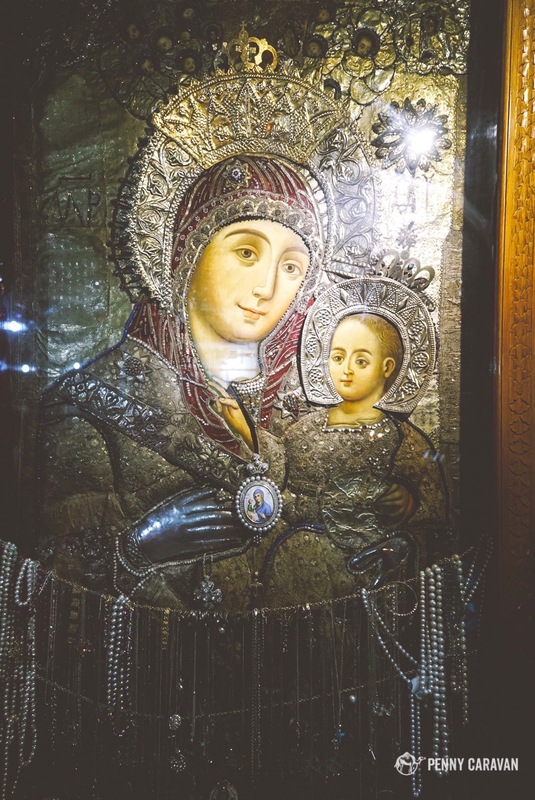 Our Lady of Bethlehem, the only holy icon that depicts the Madonna smiling. 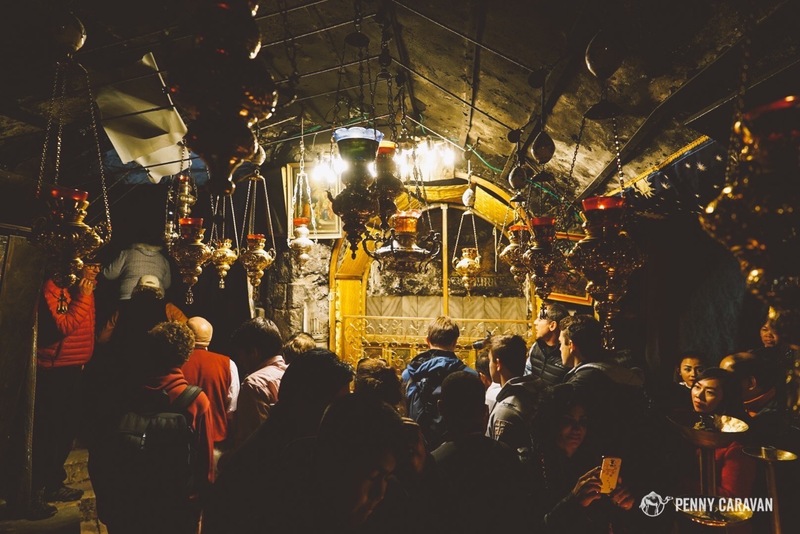 Behind the altar, pilgrims queue to enter the grotto of the Nativity. 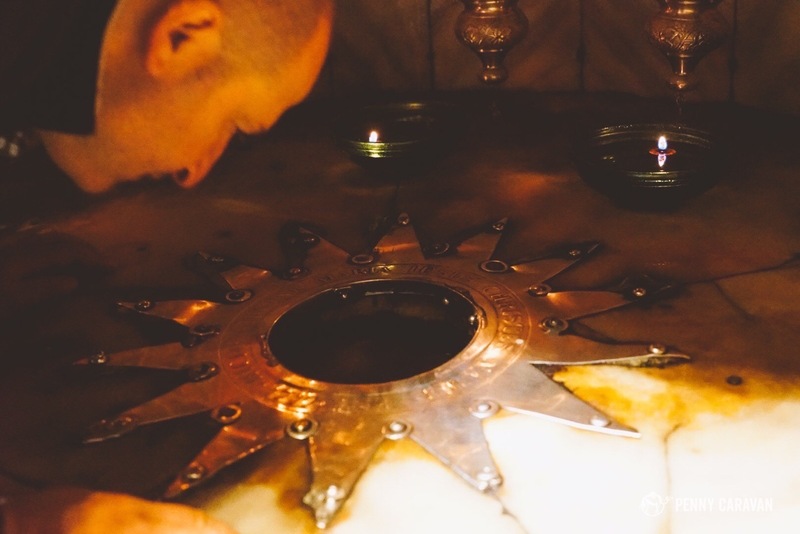 A star marks the spot where Christ was born. Inside the grotto of the Nativity. St. Catherine’s on Christmas morning. Wandering through the Old Town on Christmas morning. The milk grotto is another chapel built over a spot where, according to tradition, Mary nursed baby Jesus and a spot of milk dripped onto the ground, turning the entire grotto white. 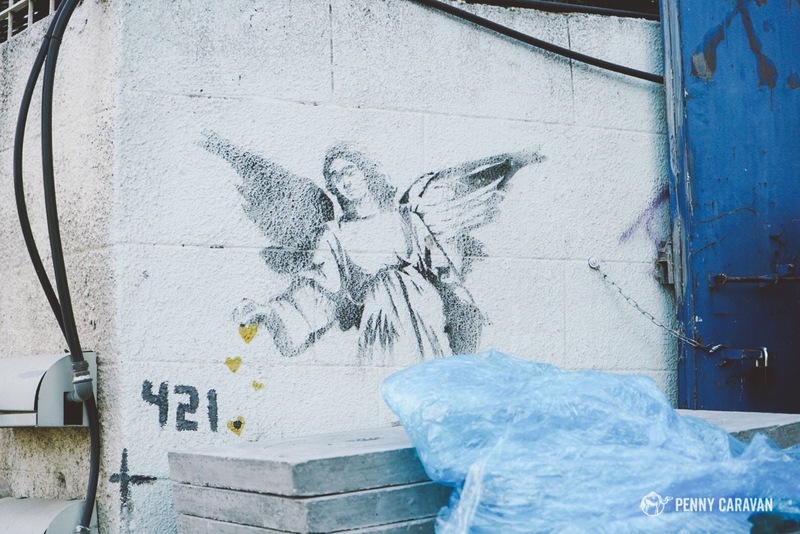 Women come to the chapel to touch the white walls to receive the gift of fertility. A couple of chapels mark the field where angels appeared to the shepherds to announce Jesus’ birth. The chapel we visited was built by Canadians. Canadian chapel at the Shepherd’s field. 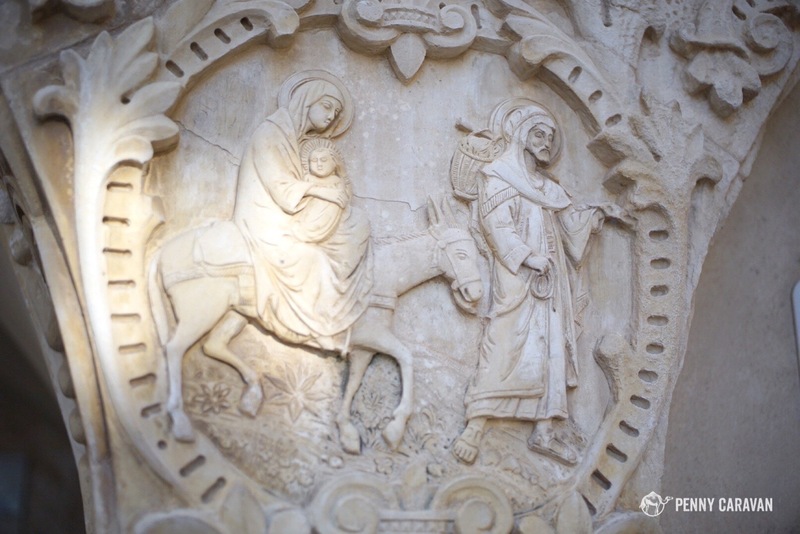 Keep your eye on the website of the Franciscan Pilgrims Office to request tickets to Midnight Mass. This past year they became available at the beginning of September. Be sure also around September to begin securing a hotel room! We stayed at the Ararat Hotel which was nice, but we underestimated how valuable it would have been to have a hotel right on the square. 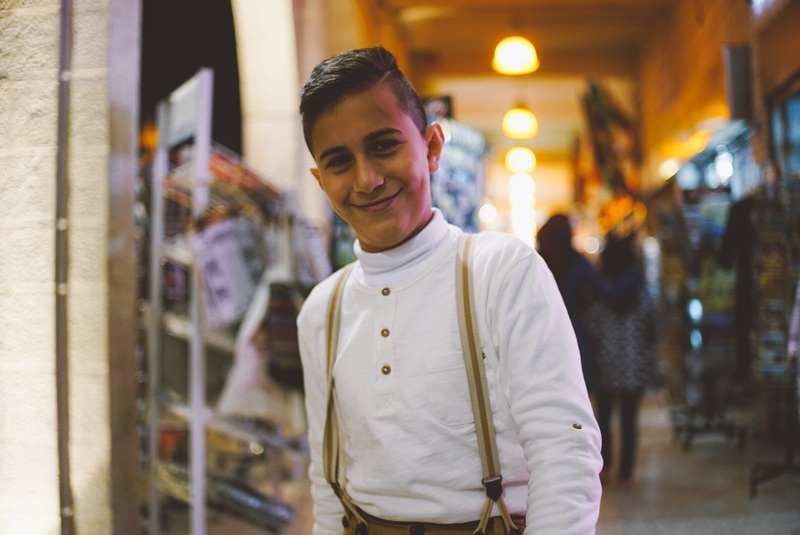 There will surely be warnings concerning travel to the West Bank no matter when you go, but I’d say you are missing out if you let fear keep you away! Though the Christmas celebrations may have been lacking in the sense of what we experience here in the United States, I cannot deny that this old town is a special place and the people are truly sweet and welcoming to visitors. Go, experience, make some friends, and have some fun!